There are many entrepreneurs who start out toiling for the corporate sector. While working as an employee, you may suddenly find yourself being called by your entrepreneurial spirit and become an entrepreneur instead. You may have found an idea you want to pursue or you may be dissatisfied with your work environment enough to decide that you want to quit your day job and work for yourself instead. However, the process of jumping from employee to entrepreneur is not easy. It means foregoing the stability of a steady paycheck. Entrepreneurship is a roller coaster ride, where you may do well today but find yourself in the pits the next. You will be responsible for anything and everything about the business, not just your narrowly defined set of responsibilities as an employee. You may find that being a boss is not at all glamorous: be prepared to do everything by yourself from marketing to accounting to product development, and yes, even cleaning the floors. 1. Prepare yourself for the shift. Save six months to two years of living expenses to allow your business time to grow and make a profit. If possible, start your business part-time on the side while you still hold your job. This approach will give you an opportunity to test your market and make sure customers exist for your venture. Given the high cost of medical expenses, make sure that you have health insurance coverage before leaving your full-time job. You can find coverage with a home-based or small business association, sign up with your spouse’s plan, or continue with your employer’s plan through Cobra. 2. Determine the viability of your planned business. Be sure to do some number crunching to better understand how the business will fare, and what challenges you will be facing. Better yet, sit down with an accountant to do financial projections for your business. Leaving your job means leaving the financial security of getting a regular salary; so you need to know whether this new venture that you will start can earn money – and more importantly, when can it start to earn money. Don’t ever assume that the business can earn money right from the get-go. 3. Get ready for a mind shift. The mindset of an entrepreneur is vastly different from that of an employee: an entrepreneur revels and understands risks, while an employee is trained first and foremost to spot and prevent mistakes. As an employee, you don’t want to take too many risks that could undermine your performance review. Making mistakes is the last thing you want because you know that the bosses will remember them come evaluation time. Now that you are an entrepreneur, you are responsible for the overall direction and strategy of a business. This often means going to places where you’d never tread before, pushing yourself and facing risks head-on. Yes, you may make mistakes, but that is all part of entrepreneurship. If you are paralyzed with the idea of risks and fear, you are better off staying put as an employee. 4. Make sure you have the money and resources. You need to make sure that you have the resources when the need arises. Establish a credit line with your bank and credit cards for possible financial sources. Try to line up where and how you will raise funds for your new business, including leads for potential investors. 5. Thoroughly prepare for your planned business endeavor. Assess the skills and knowledge you have to contribute to your business. Take business management and entrepreneurial courses, or even work or volunteer in the business industry in which you will be venturing to get business management knowledge and on-the-job experience. Join trade and professional organizations (local, regional, and/or national) with which you can network, learn business tips and begin to make contact for referrals. Better yet, find possible mentors who can advise and help you steer your business in the right direction. 7. Know the legal requirements for your business. Apply for a federal employer identification number (EIN), state and city business licenses, state sales tax and resale tax certificates, zoning allowances, and register your business name. 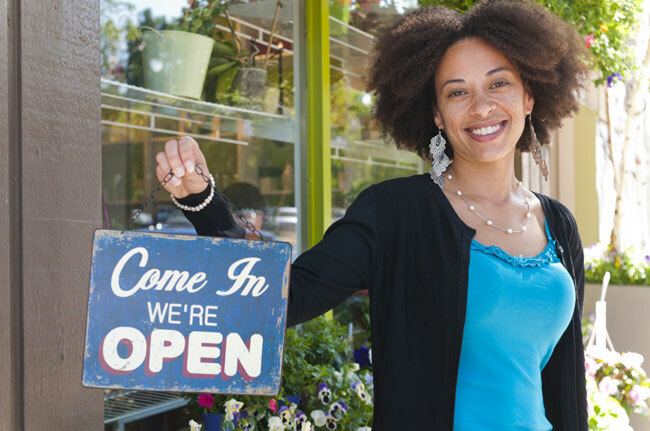 Open a business bank account and decide on the legal structure of your business. 8. Research, research and research. Check the viability of your business idea. Talk to potential customers about what they need, and what they are looking for. Make a list of your competitors – big and small – in the marketplace. Ask around; it would be best if you can even talk with someone already in the same business. Go to your library, or surf the Internet. Make sure that you have all the information to allow careful planning of your decisions, actions and strategies. 9. Jump start on the operational requirements to start the business. Choose your business name, and then check the availability of the domain name (best if they are the same for easy recall). Start developing your online presence, including your website. If you are thinking of creating a new product, try to get a mock prototype developed to help you better understand the potential of the business as well as attract investors to the business. 10. Get a lid on social media. Even if you haven’t launched your business, you can start developing your own network in the social media sites such as Twitter, Facebook, etc. While you may not have launched the business yet, you can use your social media presence to generate initial interest in your business, find potential customers, and search for thought leaders in the industry. You can even use social media to start tracking what your competitors are doing. This will also allow you to have a ready-made social network by the time you launch your business. When you ready to announce your business, you’d already have hundreds or thousands of other people in your network getting the message that you are now open for business. If possible, use your domain name as your handle in the social media networks.